Park Avenue Oral Surgery/Upper E. Peds. 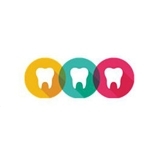 Dentistry (New York) - Book Appointment Online! Our goal is to offer our patients a warm and compassionate dental experience with the assistance of state-of-the-art technology, leaving you with a brighter smile and improved oral health. Ultimately, oral and gum health are a key to total body health, and we believe that taking care of your gums and teeth is just as much a part of a healthy lifestyle as eating right or going to the gym. Not only can we strive to improve your confidence through a brighter smile, but we can strive to give you a healthier heart and, in some cases, a whole new lease on life.